Science proves a Portable Clothesline saves money. A Mrs. Peggs Handy Line is good for your health and gives clothes a longer life. Yes. Your portable clothes line will save money! 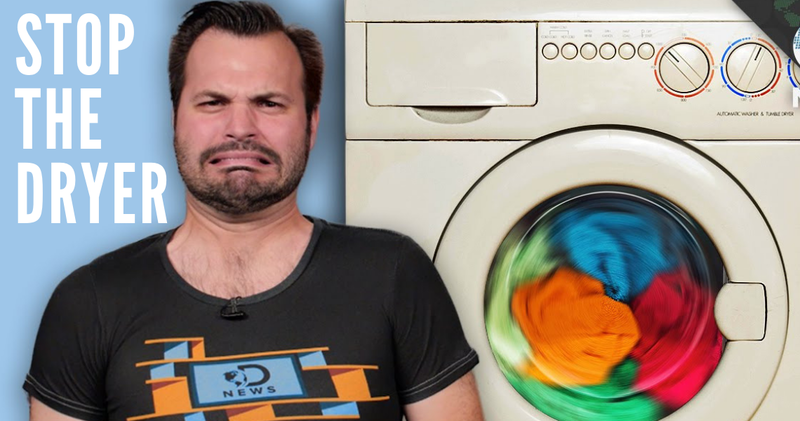 So how exactly does an electric dryer hurt your clothes compared to a portable clothes line? The most distinctive ways tumble dryers hurt fabric are shrinkage and material tearing. To fully understand how a dryer can negatively affect clothing, university researchers have undertaken scientific studies detailing the effects of tumble-drying. Did you get bigger or did your clothes get smaller? Shrinkage is one of laundry’s greatest problems. When you put a pair of size 14 jeans in a tumble dryer, you expect them to dry the same as a portable clothes line. In a study, researchers took square pieces of cotton and cotton/synthetic fibre blended fabrics and marked several areas, noting the distances and angles between each mark. The researchers put the squares through various washes, following them with an air-drying session, a high heat cycle, and a low heat cycle. The study confirmed some common knowledge. Tumble Drying shrinks clothing twice as much as washing, and tumble-drying shrinks twice as much as air-drying. When tumble-drying, temperature doesn’t affect shrinkage – tumble drying on high shrank as much as tumble-dry low. As it turns out, the mechanical agitation and forced air was the culprit for shrunken clothing. This simply does not happen with normal air drying. While shrinkage and colour deterioration are the two immediately obvious negative changes tumble dryers make to clothes, there’s a more long-term and less obvious problem. Every time you put your clothes through the tumble dryer, the system imparts microscopic damage to the fabric. By definition, microscopic damage is invisible to the naked eye, but it’s easy to see the collective damage—just check your dryer’s lint tray. Lint results from tiny tears in the fabric’s fibres, and over time the sum of these tears cause clothing to fall apart. Once again this will never happen using a portable clothes line. To examine dryer impact on microscopic tears, researchers took hemmed cotton towels, rinsed them in a washing machine, and then tumble-dried them at high heat and without heat.The test results were alarming. After only 20 cycles of washing and drying, the fabric had lost about 50 percent of its tensile strength. Let’s say that again: Drying fabric only twenty times makes it twice as easy to tear. It turns out that tumble-drying without heat only results in a 24% loss, only half as bad as the hot cycles. However, it’s clear that tumble-drying on low is no guarantee for longevity. To make matters worse, the tensile strength doesn’t seem to ever level out over time, so every laundry cycle pushes your clothes toward obliteration. As we saw with shrinkage, the mechanical tumbling action is the main cause of fabric wear. Dryers may save you time sometimes, but at a cost your clothes & health must shoulder. Dryers shrink clothes, and hot tumble-drying in particular takes a toll on fabric. So if you want to try to balance convenience and protecting your clothes, you should invest in the best folding clothesline on the market – a Mrs. Pegg’s Handyline. Until someone comes up with a better solution, scientists recommend keeping your most sensitive and valuable clothing away from the dryer and dry them on a portable clothes line, preferably a Mrs. Pegg’s portable indoor outdoor clothesline for extra convenience.